Yahoo mail free version doesn’t come with a HTTPS security enabled by default. You need to change the mail settings to enable the use of HTTPS method for email. Use of HTTPS in mail ensures that your Yahoo mails cannot be read by a hacker who can sniff packets from your network. 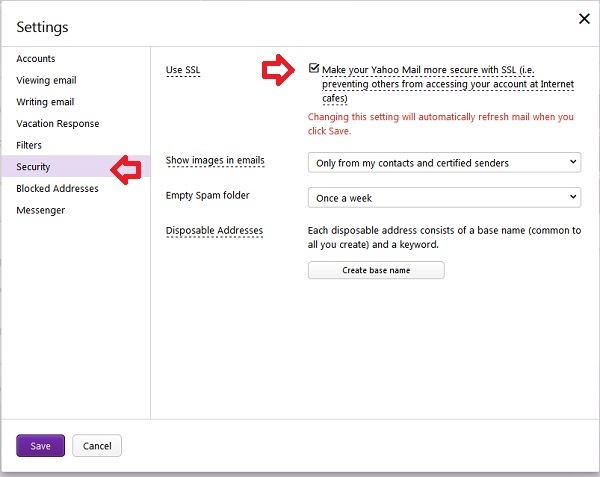 Follow the steps below to enable HTTPS in Yahoo mail. 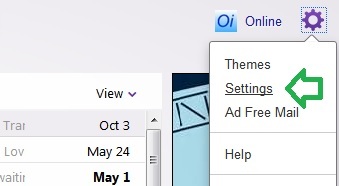 Step: 1 Click on the settings icon on the right corner of your Yahoo mail and select the ‘Settings’ option from the menu items. Step 3: Click ‘Save’ to effect the changes you made. Done!. Now your Yahoo mail will reload and you can see ‘https’ is enabled by referring your address bar.